Coffee chocolate pool is decorated with coffee whipped cream, a top is iced with coffee buttercream and lining of caramel and layered internally with choco flavor to enhance the taste buds. 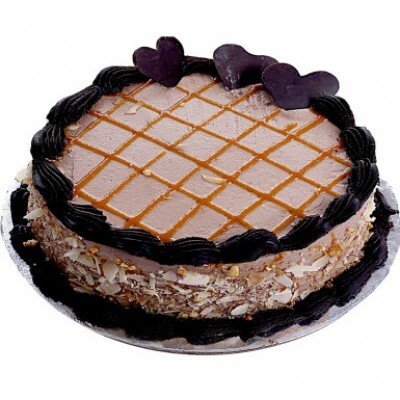 This cake is the best option for kids parties, office parties, friends get together, family dinners, success wish treat, new year celebration etc. The combo of chocolate and caramel with the coffee flavor is true heaven in desserts. The chocolate pieces are garnished on both the top and the bottom periphery.